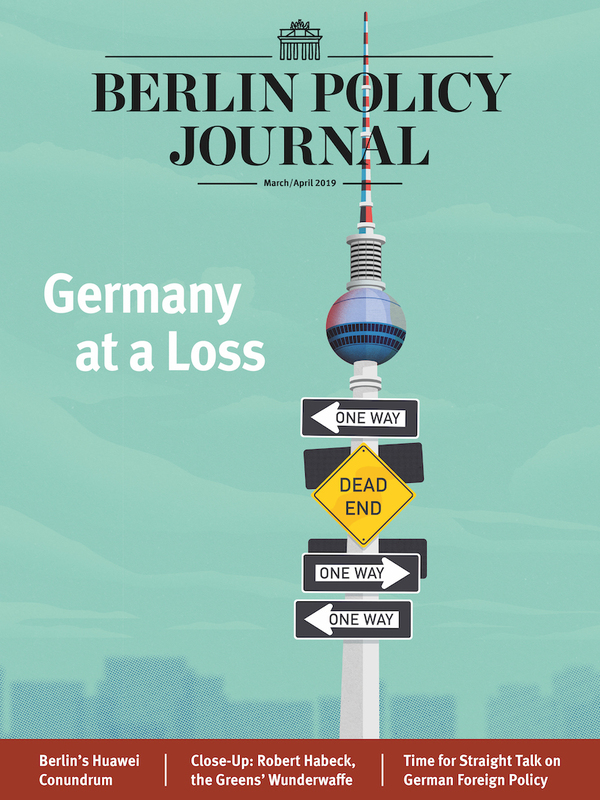 Home Berlin Policy Journal A New Counterweight? Germany’s foreign minister has suggested a new world order in which Europe acts as a counterweight to the United States when “it crosses the line.” The likely biggest obstacle to this idea: Germany. German Foreign Minister Heiko Maas outlined his plans for a new world order at the end of August. In that new world order, Europe will not allow the United States to “go over our heads, and at our expense.” Instead, the EU will be a “counterweight when the US crosses the line.” It will project power where America retreats. Maas specifically mentioned the need to create payment channels that would be independent of the US—a European Monetary Fund and an independent SWIFT system. 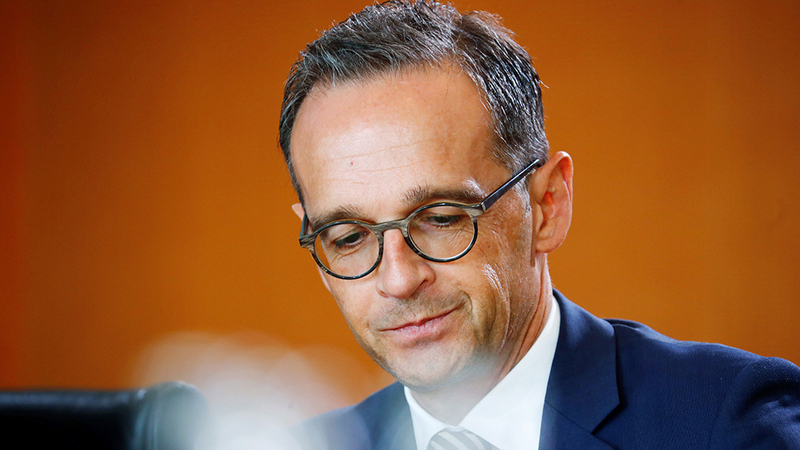 Maas’ eyebrow-raising intervention is part of the broader debate about how Germany should react to Donald Trump and a less reliable America. Some believe that Trump is merely an accident, that the transatlantic relationship will return to normalcy once he no longer occupies the Oval Office. Maas sees it differently: he believes Europe and the United States have been drifting apart for some time now. As a consequence, Europe needs to be more united in order to be more independent. He also envisions an alliance of multilateralist middle powers that cooperate in order to defend the liberal international order—a proposal he sketched out in Tokyo in July. While Trump’s hostile and often erratic actions against Germany–the president’s favorite bête noir–have led the German Foreign Office to rethink the country’s strategic worldview, the ultimate trigger is the dispute between Europe and the United States over Iran. Europeans want to maintain the nuclear deal they painstakingly negotiated, Trump wants to dismantle it. More than that, he wants the Iranian regime to collapse. American sanctions over Iran are hitting European businesses that are now forced to retreat from the Islamic Republic against the wishes of their governments. Europeans have spent months pretending that they can protect businesses investing in Iran, but it is not working. Giants of German industry like Siemens, Deutsche Telekom, Deutsche Bahn, and Daimler have already announced that they are leaving. Elsewhere in Europe, more companies are following suit. British Airways and Air France announced that they will suspend flights to Iran from September. Trump is using brute force to get his way, and Maas now wants to make sure it cannot happen again. How realistic is Maas’ vision? For starters, it is not the official position of the German government. Chancellor Angela Merkel quickly reined in her foreign minister, saying the initiative was nothing more than his opinion. While she clearly agrees with the need for a more united and independent Europe, she openly disagrees with his suggestion for a payment system that bypasses the US. Merkel stressed how important cooperation with the US is when it comes to fighting terror and providing security more generally. As much as she wants Europe “to take its fate into its own hands,” she doesn’t want to compromise European security, which is dependent on the US. 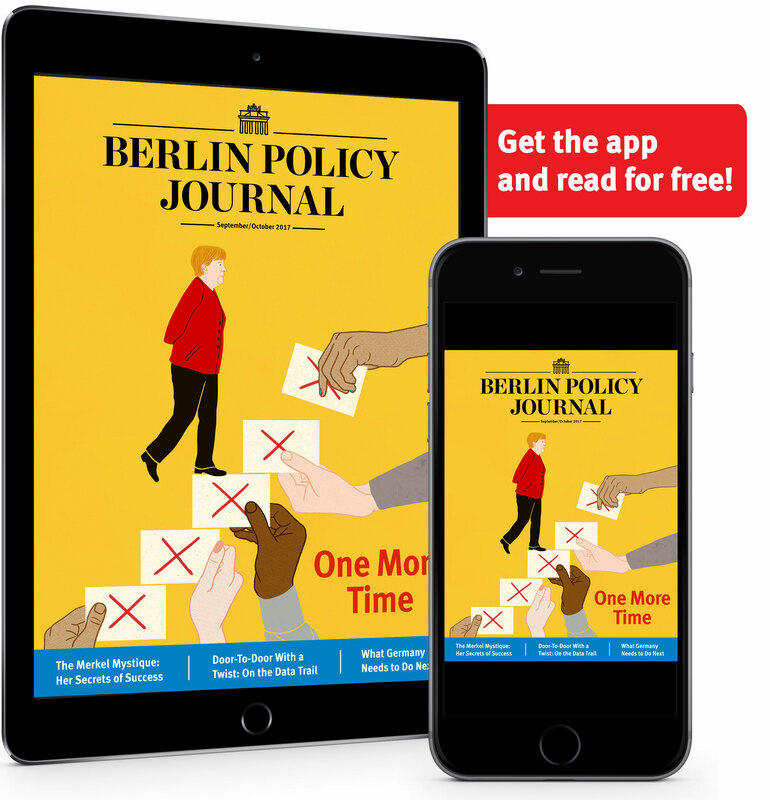 To rebalance the transatlantic relationship in the way Maas has suggested, Europe would have to drastically increase its capabilities and muster the will to provide political leadership. Neither looks likely. Europe’s security dependence on the US not only extends to raw military power, but reaches well into related fields like intelligence. Changing that would be a herculean task that would cost billions and billions of euros, require entirely new structures, and take multiple decades. Even then, success would be far from guaranteed. America is an important pillar of the liberal international order precisely because it combines capability and leadership. To provide effective leadership, Europe would have to find a common voice. That rarely happens in foreign policy, where EU decisions are currently required to be unanimous. Changing that is extremely difficult because these decisions are often at the heart of national sovereignty and vital national interests. Envision a scenario where Maas’ Europe needs to respond quickly to a security crisis; one in which Germany has to go to war against its will. It is hard to ever see that happening. Europeans have deeply divergent interests. Some care more about North Africa than they do about Russia. Others are almost entirely consumed by the threat of the Russian bear. Poland and the Baltic countries see Moscow as an existential threat. The Austrian foreign minister danced with Vladimir Putin at her wedding. American security guarantees have masked these differences. But the more independent Europe becomes, the more visible they will become. And how successful can Maas’ “alliance of multilateralists” possibly be when Europe can’t even agree on supporting Canada against Saudi Arabia in the dispute of the former’s support for a female human rights activist? The biggest obstacle for Maas’ vision is likely Germany. While constantly portraying itself as a “good European,” Germany’s reluctance to pull its weight when it comes to security is a key impediment to a more independent Europe. Germany chooses not to have a functioning army. The country has taken on more responsibility, but it still lets others do the heavy lifting. While Maas himself is a vocal advocate of increased defense spending, his party is often the principal opponent. The general idea of a stronger and more independent Europe is easy to support in theory, but the concrete steps needed to make that happen are likely to be hugely unpopular. It’s easy to win an election if you tell voters you want Europe to be strong and independent. It is tough to win an election if you tell voters you want a drastic increase in defense spending and a significant loss of national sovereignty. Maas knows this, and that is why his proposals are relatively vague apart from the call for an independent payment system. They are likely to stay this way. is a political scientist at the University of Kiel in Germany.